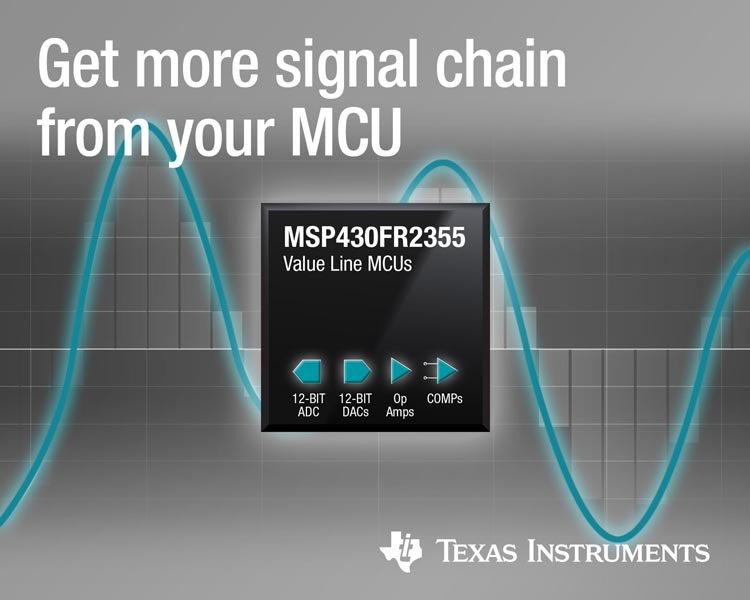 Texas Instruments (TI) announced the addition of new microcontrollers (MCUs) with integrated signal-chain elements and an extended operating temperature range to its MSP430™ value line portfolio. New MSP430FR2355 ferroelectric random access memory (FRAM) MCUs allow developers to reduce printed circuit board (PCB) size and bill-of-materials (BOM) cost while meeting temperature requirements for sensing and measurement in applications such as smoke detectors, sensor transmitters and circuit breakers. Engineers can enjoy more flexibility in their system design with MSP430FR2355 MCUs, which integrate smart analog combos – configurable signal-chain elements that include options for multiple 12-bit digital-to-analog converters (DACs) and programmable gain amplifiers, along with a 12-bit analog-to-digital converter (ADC) and two enhanced comparators. Developers can use MSP430FR2355 MCUs for applications that require operation at temperatures as high as 105 °C while also benefiting from FRAM data-logging capabilities. Engineers gain more options to select the right memory and processing speed for cost-sensitive applications with the MSP430FR2355 MCUs, which add options to the MSP430 value line FRAM MCU family by offering memory up to 32 KB and central processing unit (CPU) speeds up to 24 MHz. Designers can also scale to the rest of the MSP430 FRAM MCU portfolio for applications that require up to 256 KB of memory, higher performance or more analog peripherals. 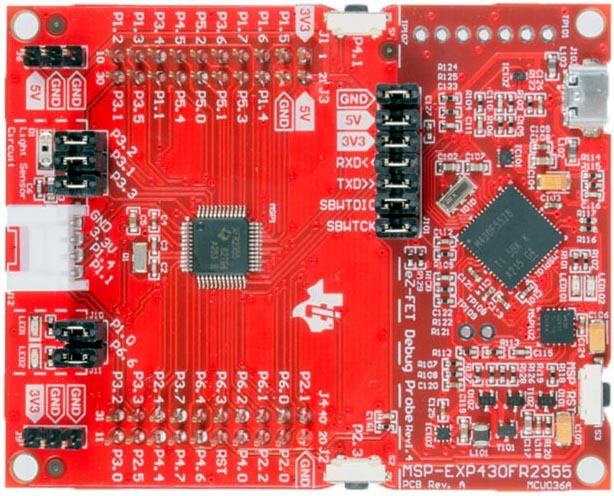 Developers can start evaluating with the MSP430FR2355 MCU LaunchPad™ development kit (MSP-EXP430FR2355), available for US$12.99 from the TI store. Additionally, engineers can purchase samples of MSP430FR2355 MCUs from the TI store.